This year, it is difficult for me to seize the opportunity offered by Elul and more than a bit challenging to set my mind to the spiritual housekeeping and moral accounting that go along with the late summer season. As I peer into the first year of our family’s life without my mother, it doesn’t look fresh, promising or hopeful. Instead, I know (even without seeing the specifics) that at each holiday, each celebration, each family event, it will be harder than ever to “shake it off and step up.” And so I’m especially interested in what others have to say during this annual ritual of spiritual preparation. Ima on (and off) the Bima is blogging daily during Elul here. Inspired by his colleague and friend, the Rhythm Guitar Rabbi also has committed to blog daily (starting on 2 Elul). You can find his musings here. 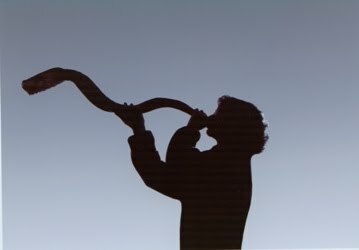 Know of other Elul musings? Come on, share them with the rest of us.